It is intended to determine the degree of compliance with Directive 2001/18 / CE of March 12, 2001 on the international release in the environment of genetically modified organisms. Determination of varieties approved by the European Union. Verification of Regulations 1829/2003 on genetically modified food and feed and 1830/2003 on traceability and labeling of OMG’S. The genomic identification is based on the extraction of DNA from the sample, its amplification by means of the PCR technique, verification of the amplified products and comparison of the DNA sequence against other sequences. Determination of transgenics, both qualitative and quantitative, Identification of species, pathogens. Detection of pathogenic microorganisms in human and animal feed through molecular biology techniques by DNA analysis by means of the polymerase reaction (PCR). The microorganisms to be analyzed are Salmonella, Listeria, Legionella spp and Legionella pneumofila, among others. b) Sensitivity: As it is a DNA analysis of the microorganism, the limits of detection are considerably diminished, as for example in the analysis of Legionella, 2 bacteria can be detected in a bacterial background of 20 million Gram + bacteria. This genomic identification service is based on the extraction of DNA from the sample, its amplification using the PCR technique, verification of the amplified products and comparison of the DNA sequence with other sequences. With all this, our Molecular Biology Department will advise you to comply with the national and community legislation in control of pathogenic microorganisms. Identification and authentication of species or breeds in meat products, fish, feed and their raw materials in human and animal feed through molecular biology techniques by DNA analysis through the polymerase chain reaction (PCR). In the case of fishery products, the current legislation requires identification on the labeling of the species to which the product belongs, both in fresh and frozen foods. The classification of species of Gadids in processed fish is very important because of the commercial value of each species, so know if it is Atlantic cod: Gadus morhua or Gadus macrocefalus is very important commercially and legally. Also species of Tuna and bonito that by the great amount of species of Túnidos like they can be: Thunnus obesus, Tunnus alalunga, .. In meat products we offer authentication services for species such as: Gallus gallus chicken, Bos taurus cow, Sus scrofa pig, Ovis ovis sheep, Capra hircus goat, Oryctolagus caniculus rabbit This can confirm the presence in meat derivatives of certain species and with it to know the technical requirements of manufacturing, legal composition and even religious (Muslims can not eat pork). In feed and its raw materials it is very important to know the existence of species such as meat flours in finished feed, presence of certain species in animal feed that go to human consumption, such as the problem of mad cow disease . With all this, our Molecular Biology Department will advise you on compliance with national and community legislation on the identification and authentication of species. 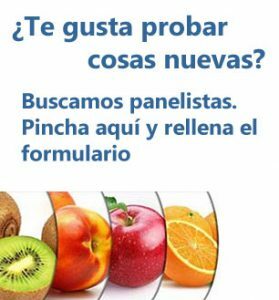 Qualitative, semiquantitative and quantitative analysis of transgenic material in food by the determination of genetically modified organisms-GMOs, Identification of species, pathogens. Qualitative analysis for the detection of GMOs in samples with plant content using the DNA genetic identification technique by the Olimerase Chain Reaction (PCR). An extraction of the DNA from the sample is carried out and the nucleic acids are amplified by means of the Gene Amp PCR System 2700 thermocycler from Appilied Biosystem. In this way, the appearance of specific bands of the 35S promoter and NOS terminator gene, distinguishable by their molecular size and differentiable by agarose gels, is detected by the electrophoresis technique. 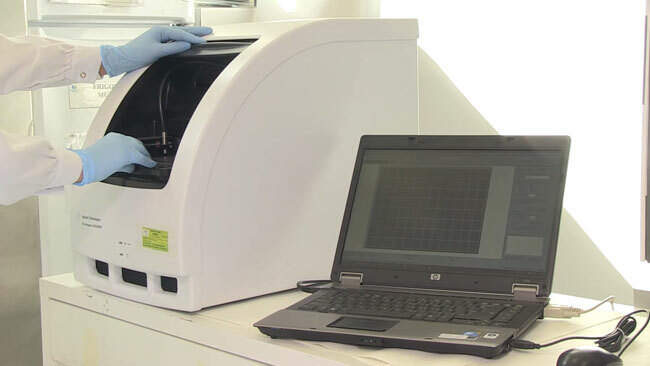 Subsequently, a digital development and viewing of a Sygengene Digigenius equipment is carried out, and thus the presence of GMOs in the analyzed sample is detected. a) of amplification of a genetic gene of corn or soybean on the sample. b) Amplification of a corn or soybean GMO. b) of the PCR reaction by extension of GMOs on non-transgenic DNA. c) of the PCR reaction by amplification of OGM’s without DNA present. d) of CaMV RT to avoid false positives due to contamination of this virus. The result will be registered as Absence / Presence of transgenic material. Quantitative analysis for the detection of Roundup Ready in sample with vegetal content by the technique of genetic identification of DNA by the Polymerase Chain Reaction (PCR). An extraction of the DNA from the sample is carried out and the nucleic acids are amplified in duplicate using Taq Man probes in a real-time thermal cycler and thereby detect the amount of Roundup Ready transgenic soy with respect to the total soybean of the sample analyzed. b) Amplification of a GMO soybean corn.